An EasySlots safari-themed game with many chances to win, what’s not to like? From Leander Games comes a very interesting online slot to say the least, allow us the pleasure of introducing to you, Africa Goes Wild, a safari of a slot that plays out over 5 reels and comes chocked to the brim full of outstanding features and things of that nature. One of the highlights of playing this slot comes via the 1,024 different ways of winning, which is an extraordinary number and will add some level of variation out on your travels here. You can play this one from as little as 40p to around £20 per spin, which is perfect for players of various entry levels don’t you think? Be sure to check out the rest of our review below for some additional info, we cover a lot here! 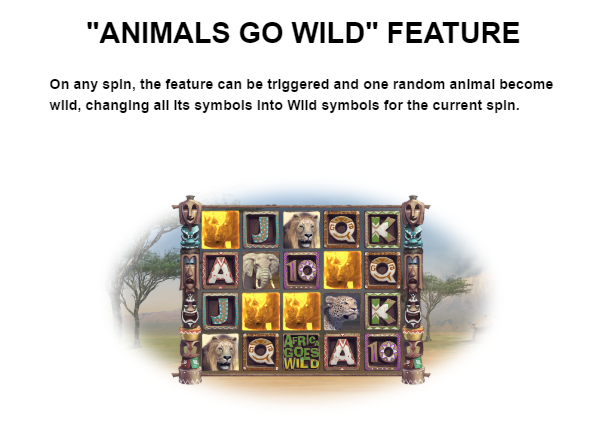 Go Wild: This feature can and will trigger on any random spin, what will happen here is one symbol will be chosen at random, making every symbol of the same animal wild should you manage to match them on the reels, giving you plenty of reasons to be excited! Golden Lion: Match the paw print symbol and you will activate this feature. Matching scatters when this is active will allow you to respin accordingly, which is perfect if you are making sure that every spin counts! If you like extra features and bonuses, don't forget to take a look at our EasySlots promotions page! Africa Goes Wild is a very unique slot to say the least, yes, we’ve played a lot of safari slots out there, but this one just feels special for many different reasons. Leander Games have done a great job here, come check out their efforts for yourself first hand, and see what all the fuss is about! 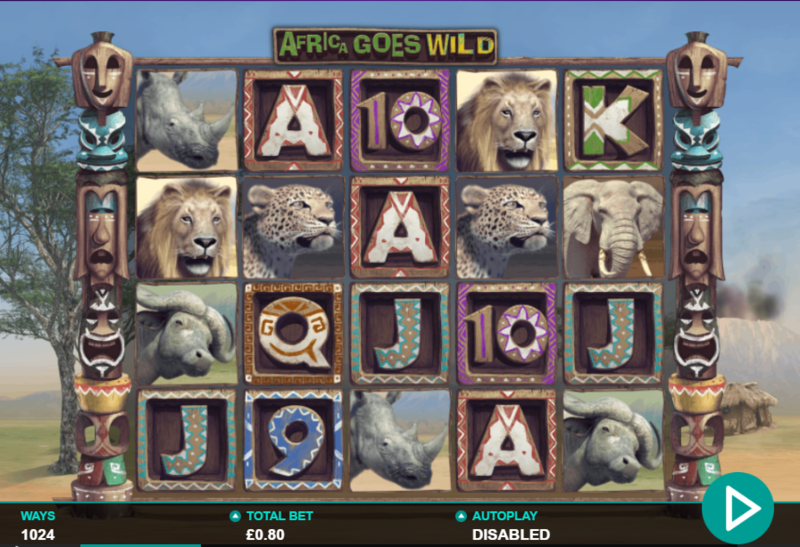 Play UK slot games now just like Africa Goes Wild on Easy.